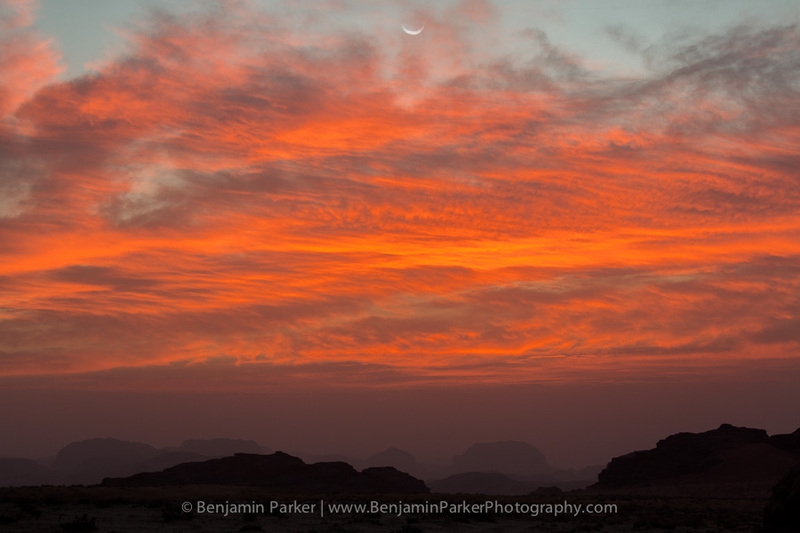 A colorful dusk and moonset in the stunning Wadi Rum desert of Southern Jorden. The land of the Bedouins and T.E. Lawrence.